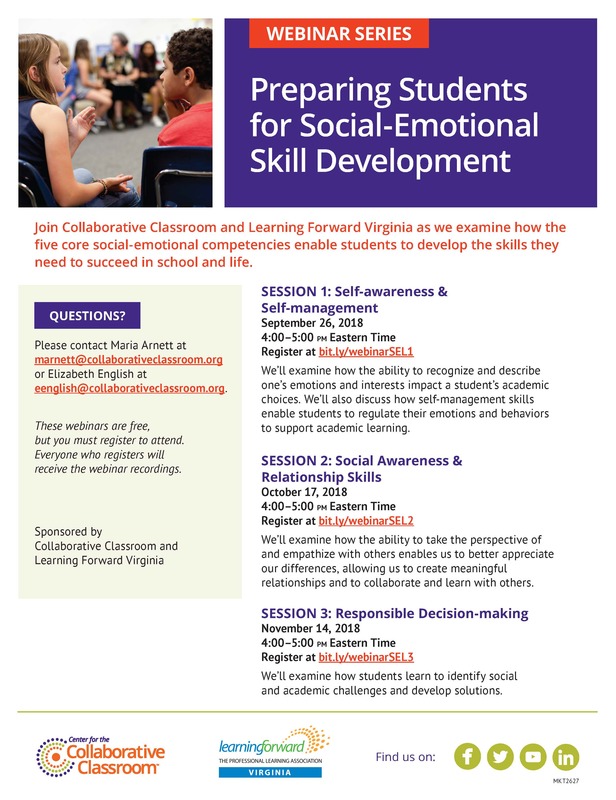 Join Collaborative Classroom and Learning Forward VA for a deeper look at the five core social-emotional competencies. According to CASEL, these competencies address multiple skills students need to be successful in school and life. In this session, we will examine how the ability to take the perspective of and empathize with others enables us to better appreciate the difference in others. The development of relationship skills gives us the ability to create meaningful relationships and enables us to collaborate and learn with others. Please note: This webinar is free, but you must register to attend. This webinar will be recorded. Everyone who registers will receive the webinar recording via email within 5–7 business days after the live session.